Current Workforce Mangament solutions (WFM) are a very productive tool in contact centres. But many contact centres are still feeling the pain of lower productivity performance than the business requires. 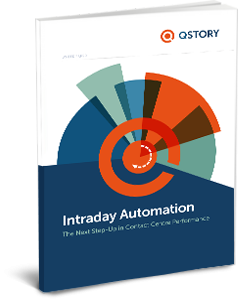 The next major step-up in productivity for contact centres is the implementation of Intraday Automation - adapting the daily scheduling automatically.